The Desktop Cleanup Wizard is a utility that ships with all versions of Windows 7 and is designed to help you keep your Desktop neat and tidy. The utility does this by recommending the removal of old, out-of-date, and unused files and shortcuts currently on your desktop. 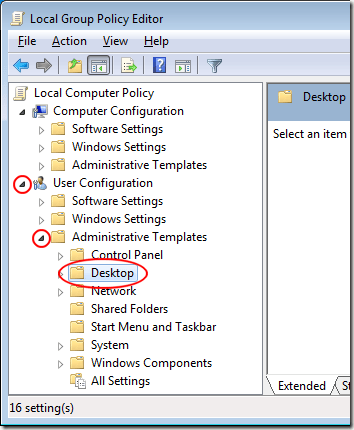 If you find the Desktop Cleanup Wizard annoying, you can remove it by editing a group policy. 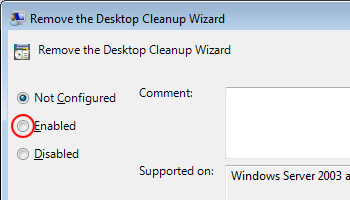 The Desktop Cleanup Wizard is one of those good-intentioned but annoying features Microsoft built in to Windows 7. It’s one of those features that isn’t really useful because if a user wants to clean up the desktop, he/she just does it manually by moving shortcuts and files to the Recycle Bin. Do people really need help cleaning up their desktops? The most frustrating aspect of the Desktop Cleanup Wizard is the false positives it creates. Icons are apparently deemed old and out-of-date by the wizard in relation to how often other icons and files on the desktop are used. The result is an automated process that requires too much intervention to be considered automatic. Luckily, you can remove the Desktop Cleanup Wizard from ever appearing by using the Local Group Policy Editor to change just one variable’s value. Truthfully, you are not going to remove the wizard from the computer; you are simply preventing the wizard from ever popping up again. Begin by logging into Windows 7 using an account that has administrative privileges. Click on Start>Run, type in gpedit.msc in the Run dialogue box, and click the OK button. If you don’t have the Run command on your Start menu, hold down the Windows key on your keyboard and press the R key. You should now be looking at the Local Group Policy Editor. 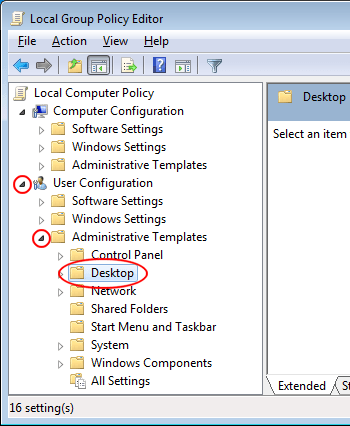 In the left hand pane, open User Configuration>Administrative Templates>Desktop. Be sure to click on the Desktop folder rather than expanding it. 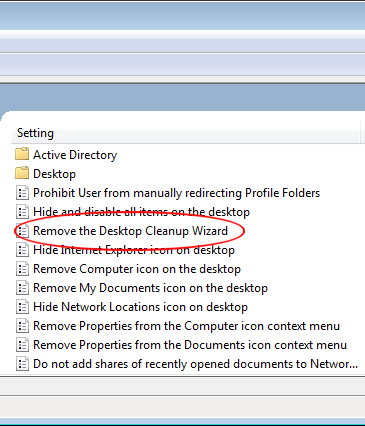 In the right hand pane, locate and double click on an entry labeled Remove the Desktop Cleanup Wizard. 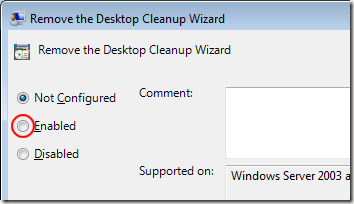 You should now be looking at the Remove the Desktop Cleaning Wizard window. If no one has changed this setting before, the current state should be Not Configured. Click on the Enabled option, click the OK button, and you are done. Note that by selecting Enabled, you are actually disabling the wizard, not enabling it. This is due to how the setting is worded in the negative. Although the Desktop Cleaning Wizard seems like a good idea, most users of Windows 7 find it annoying when it pops up and not very useful while using it. The most frustrating part is how the wizard decides which files and shortcuts are old and which are still in use enough to keep on the desktop. The wizard requires so much input from the user that it isn’t much of a wizard at all. 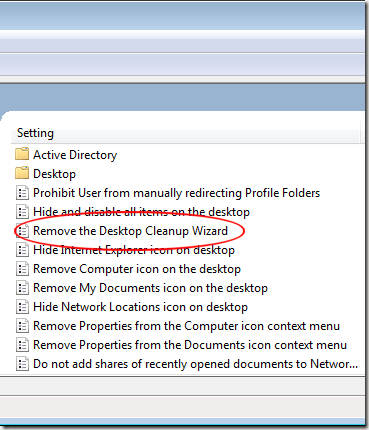 Removing the Desktop Cleaning Wizard is an easy way to stop users of Windows 7 from being frustrated by a good-intentioned but ultimately useless utility.